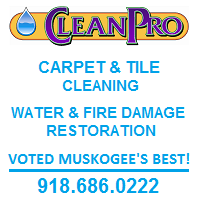 The Muskogee Politico is proud to endorse Dana Murphy for Corporation Commission. She is extremely qualified and experienced to hit the ground running, and will be a watchdog ala Bob Anthony. Her opponent has been 'bought and paid for' by Aubrey McClendon, out-of-state homosexual activists, and other out-of-state donors. His heavily-documented relationship with regulated entities such as Chesapeake Energy is very concerning (for example, paving a little-used road to one of his chief donors' farm). Also, if elected, Jim Roth would be the very first openly homosexual state-wide elected official in the entire nation. Homosexual activists like Colorado's Tim Gill have poured thousands of dollars into Roth's campaign coffers in an attempt to buy this seat for the homosexual movement. Dana Murphy not only shares our values, but will be an independent voice for Oklahoma, and will be our watchdog at the Corporation Commission. We endorse Jeff Cloud for re-election. Cloud has made some mistakes (i.e. the vote against the Red Rock power plant), but we believe that he has done a fairly good job as commissioner. 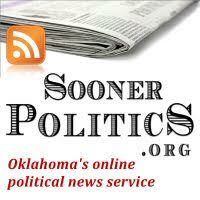 "This measure amends the Oklahoma Constitution. It adds Section 8D to Article 10. The measure takes effect January 1, 2009. It creates an exemption from personal property tax. The exemption would be for the full amount of taxes due on all household personal property. The exemption would apply to certain injured veterans. It would also apply to those veterans’ surviving spouses. To qualify for the exemption an injured veteran would have to meet certain requirements. First, a branch of the Armed Forces or the Oklahoma National Guard would have to have honorably discharged the veteran from active service. Second, the veteran would have to be an Oklahoma resident. Third, the veteran would have to be the head of the household. Fourth, the veteran would have to be one hundred percent permanently disabled. Fifth, the United States Department of Veterans Affairs would have to certify the disability. Sixth, the disability must have occurred through military action or accident, or resulted from a disease contracted while in active service. The Legislature could pass laws to carry out the exemption. Such laws could not change the amount of the exemption." The Muskogee Politico strongly endorses this question. Our disabled veterans have paid a great price with their service, and should be rewarded in this small way. 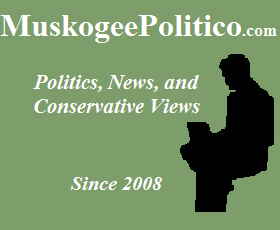 "This measure amends the Oklahoma Constitution. It would add a new Section 22A to Article 10. This section is related to exemptions from property taxes. It would require a person or business to file an application for an exemption. No exemption could be granted prior to filing an application. The Legislature may write laws to carry out the provisions of this section." We endorse this state question. I believe this is mainly some clean-up language that closes a loophole in the tax structure; to get an exemption you have to file an application to get it. "This measure adds a new section to the State Constitution. It adds Section 36 to Article 2. It gives all people of this state the right to hunt, trap, fish and take game and fish. Such activities would be subject to reasonable regulation. It allows the Wildlife Conservation Commission to approve methods and procedures for hunting, trapping, fishing and taking of game and fish. It allows for taking game and fish by traditional means. It makes hunting, fishing, and trapping the preferred means to manage certain game and fish. The new law will not affect existing laws relating to property rights." 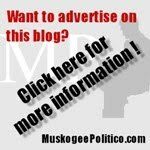 The Muskogee Politico definitely endorses this state question, especially with the possibility of an anti-Second Amendment President and Congress looming on the horizon. "This measure amends Section 3 of Article 28 of the Constitution. It requires a customer to be twenty-one and physically present to purchase wine at a winery, festival or trade show. The measure changes the law to allow certain winemakers to sell directly to retail package stores and restaurants in Oklahoma. The change applies to winemakers who produce up to ten thousand gallons of wine a year. It applies to winemakers in state and out of state. Those winemakers may not also use a licensed wholesale distributor. They must sell their wine to every retail package store and restaurant in Oklahoma that wants to buy the wine. The sales must be on the same price basis. The sales must be without discrimination. Those winemakers must use their own leased or owned vehicles to distribute their wine. They may not use common or private carriers. 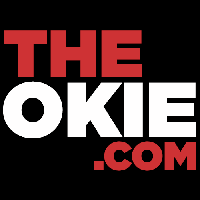 If any part of this measure is found to be unconstitutional, no winemaker could sell wine directly to retail package stores or restaurants in Oklahoma." This one really is up to you. It would make it easier for small-production Oklahoma wineries to sell their product here in the state. As it is now, they cannot sell directly to Oklahoma customers (i.e. people who come to their wineries); they must go through a wholesaler. I'm personally against alcoholic beverages, so I might vote against this just on principle.